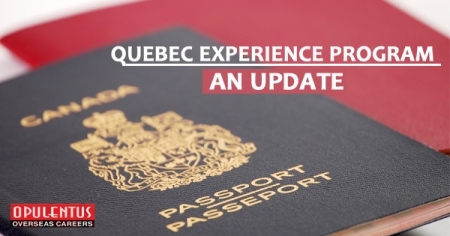 On August 2nd, the province of Quebec will introduce a series of changes in its immigration programs. The PEQ which is a popular program, will make the process of immigration easy for low-skilled workers and spouses. Quebec has a special place in Canadian immigration. It is the only province which manages its own immigration system independently. All other provinces are direct partners of the federal immigration. Quebec has different immigration programs, but PEQ is the most popular. The qualifying norm for PEQ, is that the candidate must have experience in the province. They need to show that experience through Quebec work experience or also through completing their studies in the province. Moreover, the applicants through PEQ should show advanced intermediate knowledge of French. Furthermore the applicants must reside in Quebec while submitting their application. Changes – Spouses are Eligible to Apply! In case the overseas applicants come to Quebec as international students /foreign workers, they accompany their spouses also. Such spouses frequently obtain a spouse open work permit, which allows them to work in the province while their partner engages in studies/ temporary work. Presently, accompanying spouses were not eligible to apply for a Certificat de sélection du Québec even after meeting all other requirements . This will change on August 2ndThe new guidelines say that the people on the spouse open work permit will be eligible for applying to the CSQ when they meet all program requirements. As per the present guidelines, a worker needs having the Quebec experience in skilled occupations. Hence only those having work experience in a post of National Occupational Classification Skill Level 0, A, or B, are eligible for application. Quebec’s new changes do not specify any restriction regarding the NOC Code. The workers in occupations of NOC Skill Level C and D are also eligible to apply to PEQ from 2nd August.